Like Twitter it does one thing really well. 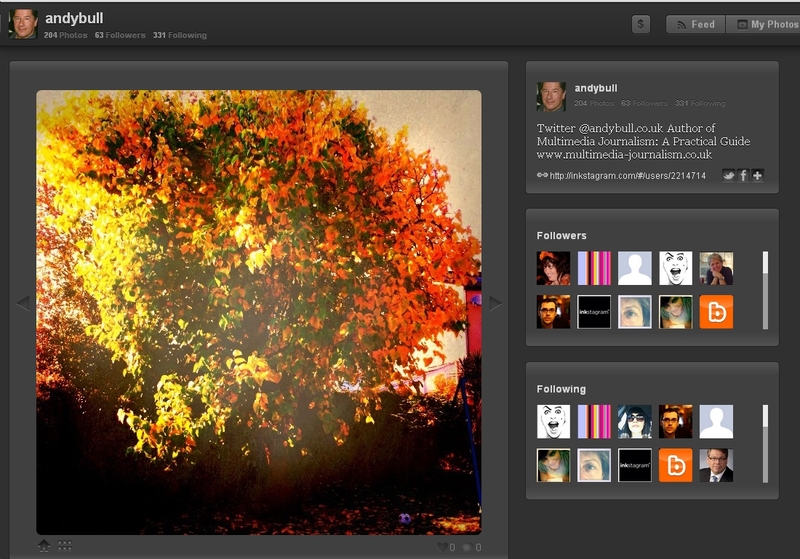 It lets you enhance and publish your stills to a community. You follow people, hopefully they follow you, and you – and they – can comment on each others photos, and click to like them. The app itself is purely mobile based, so you can’t use it on a static computer. 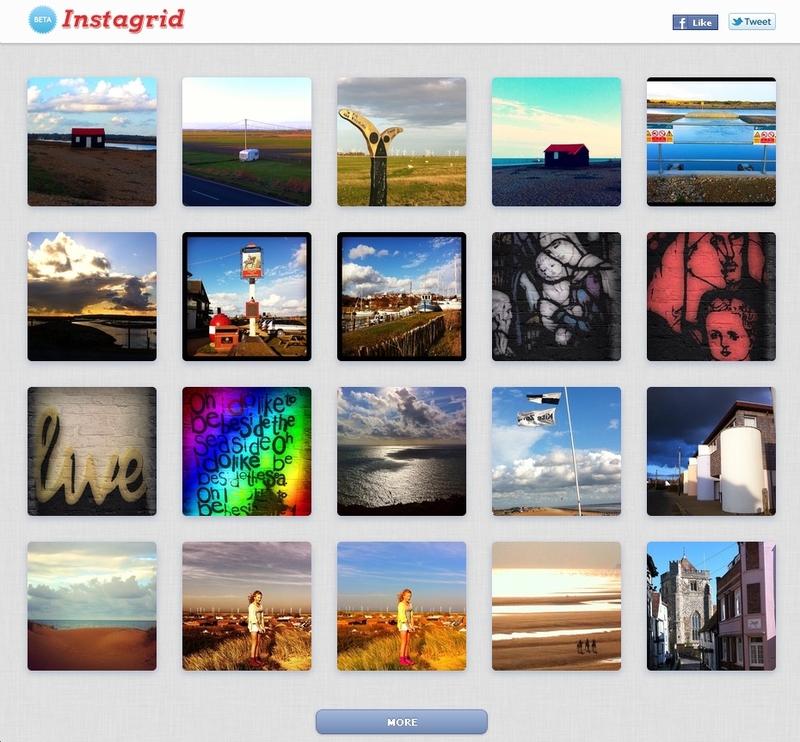 Instagrid creates an Instagram gallery on your computer that you can use to browse your photos and share them with friends outside the Instagram community. The app expands the reach of Instagrid, the purely iPhone-centric app, by allowing you to invite people who don't use Instagram to subscribe to your feed via email. I can also subscribe to the photographers whose work I like, and receive their new Instagram photos in an email every few days. 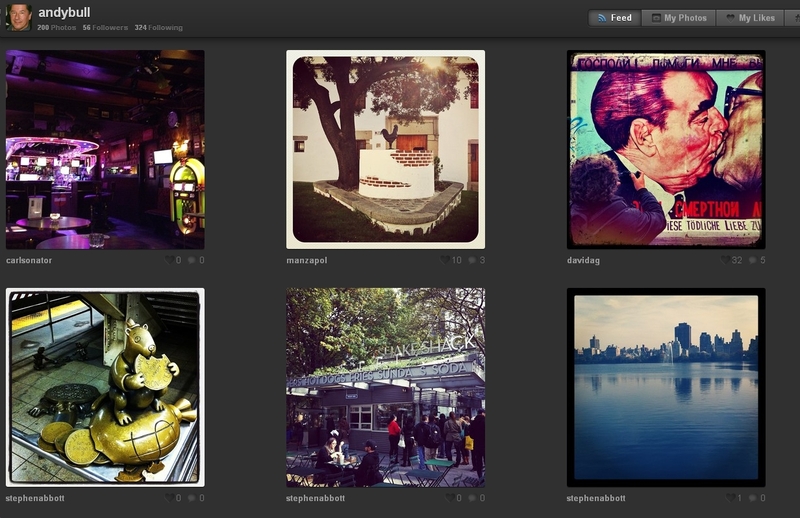 You can also create #hashtag galleries. One problem with this is that, if I have tagged my photos and want to use only them in my gallery, any other photos on Instagram tagged with the same hastag will be pulled in among mine. Instagrid tell me they are working on a filter so you can avoid this happening. They also have a printing service for your pix here. 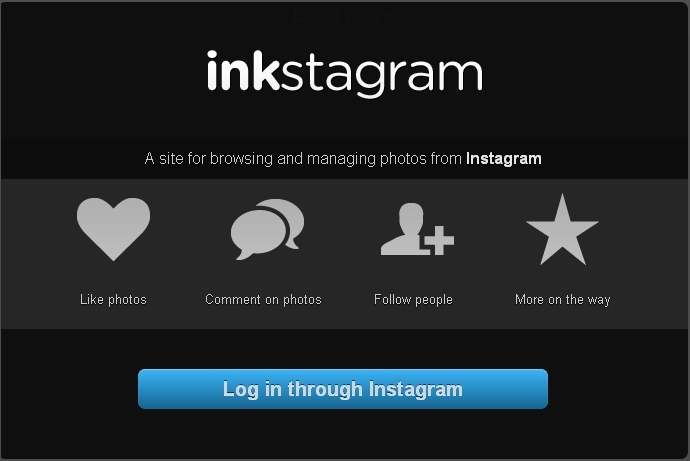 Inkstagram does what Instagrid does but, in my opinion, with a better looking interface. 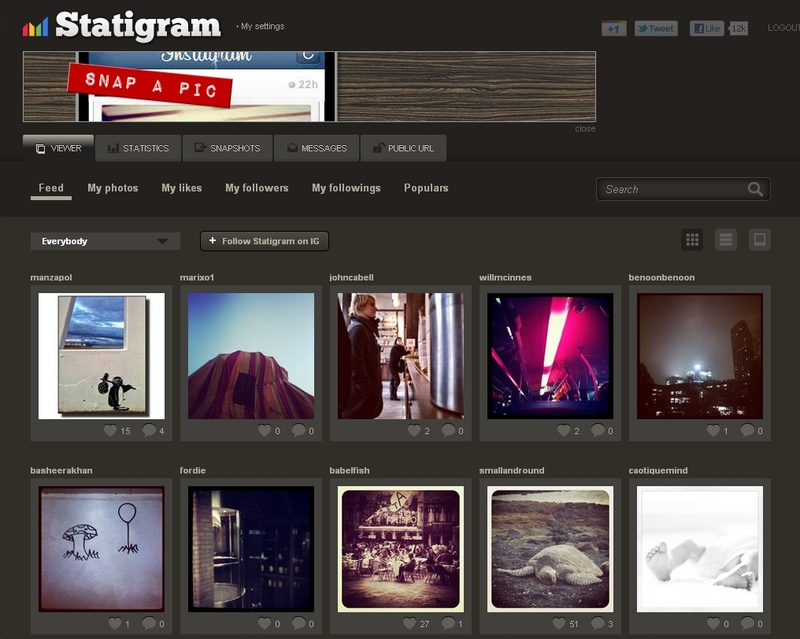 You log in through Instagram. I can see either my feed, my own photos, photos I’ve liked, and other options by clicking on the tabs along the top of the screen. 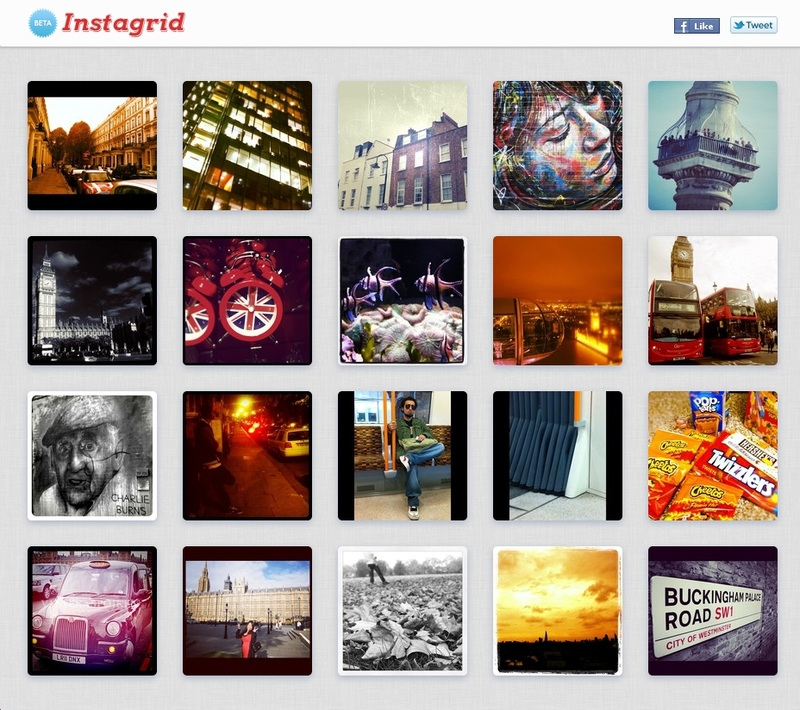 I can also create, customise and share hashtag albums from Instagram. 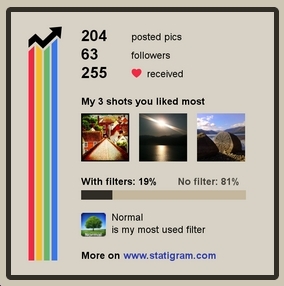 Statigram also offers you a good browser-based interface, in which you can choose to view your Instagram feed, your own phones, those you've liked, popular posts, and pix from those you follow, or who follow you. As the name suggests, it's also keen on statistics. The 'like' history, which gives you a graph that shows immediately which were the msot popular pictures and when they were taken, is really useful. It also offers what it calls snapshots, well-presented graphics of various aspects of your life on Instagram that you can share with your instagram community. 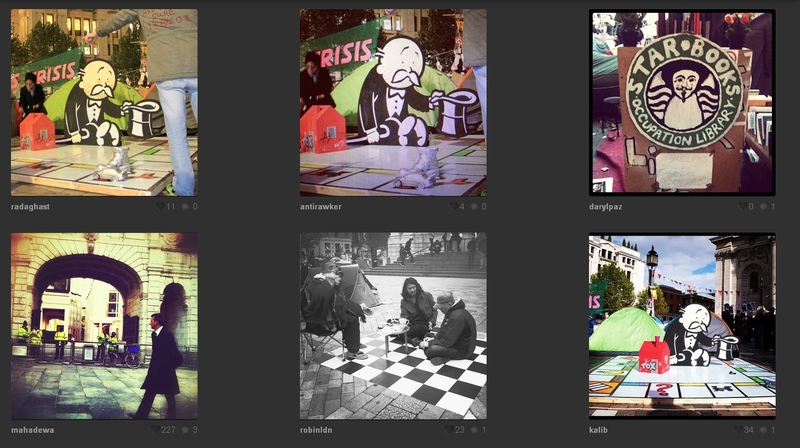 I email those to myself from the app, then upload them into my Instagram feed. I can even put the filter of my choice on them. Snapwidget is different from the three apps we've looked at so far because it lets you embed an Instagram photo gallery for a specific username or a hashtag on your blog or website. They say: “It's easy. Simply fill in your username or hashtag and configure the styling options on the right. “Then click PREVIEW to see what the widget will look like and GET CODE to get the snippet that you need to paste into your website.